Gerry Lester Watson Jr., also known as Bubba Watson, is a famous American golf player by profession who plays in the PGA Tour. Watson reached a career-high 2nd place in the Official World Golf Ranking in February 2015. Let's look at his wiki, to get more information regarding his career, net worth, personal life. What is Bubba Watson Famous for? An American professional golf player. Where is Bubba Watson born? 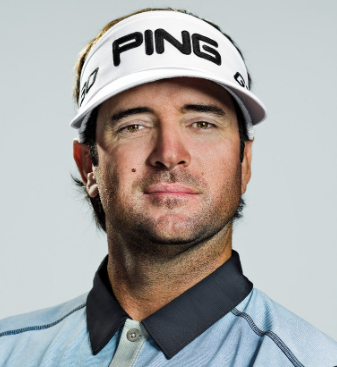 Back to his early life, Bubba Watson was born in Bagdad, Florida as Gerry Lester Watson Jr. He had a keen interest in sport at a very young age of 6. His nickname was given to him by his father after the name of Bubba Smith, a former professional football player. Unfortunately, his father died of throat cancer after watching Bubba’s first PGA Tour win in 2010. For Bubba, his father has always been his most significant source of inspiration. Bubba went to Faulkner State Community College and the University of Georgia. 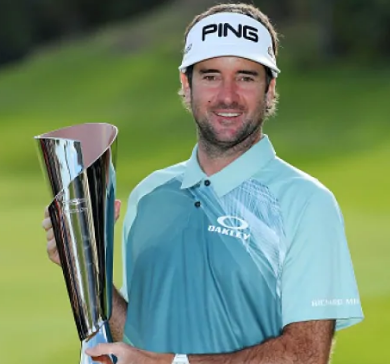 When did Bubba Watson pursue his golf career? Moving to his professional life, Bubba Watson turned professional in the year 2003 where he joined the Nationwide Tour and played until 2005. He succeeded to get 21st rank on Nationwide Tour’s money list in 2005 and also get qualified to participate in the following year’s PGA Tour. His first PGA Tour win was on June 27, 2010, in Cromwell, Connecticut, at the Travelers Championship. He was runner-up to Martin Kaymer at the PGA Championship at Whistling Straits, in 2010. His success was followed by the next PGA Tour win on January 30, 2011, at the Farmers Insurance Open and on May 1, 2011, at the Zurich Classic of New Orleans. Watson won his second PGA Tour event, the Farmers Insurance Open, finishing one stroke ahead of runner-up Phil Mickelson on 30 January 2011. In 2015, Bubba stands in 2nd place in the Official World Golf Ranking. The left-handed golfer not once or twice but has claimed the total of eight PGA Tour wins till date which includes 2 Major Championships, 1 World Golf Championships and 5 other PGA Tour events and is still planning to win more in future. In 2018, he appeared at the QBE shootout with an impressive start. He won his first title of the year at the Genesis Open in February. He later won the WGC-Dell Match Play Event and the Travelers Championship. He is among the longest drivers on the PGA Tour. In 2007 he had an average drive of 315.2 yards (288.2 m) and can hit a ball over 350 yards (320 m), and has the capability of generating a ball speed up to 194 mph (312 km/h). Who is Bubba Watson married to? Moving on to his personal life, Bubba is happily married to his long-term and the former professional basketball player, Angie Watson. Their first meet was while they were at the University of Georgia. On their first date, Angie told him that she has to adopt, she could never have kids. To which he replied, ‘That’s fine if God tells us he wants us to adopt, we’ll adopt’. After four years long quest of their marriage they adopted a cute little boy of a month old named Caleb in March 2012. In 2014, they adopted a baby girl named Dakota. Hence, children never became a reason for them to get divorced. How much is Bubba Watson net worth? As of 2019, Bubba Watson has an estimated net worth of $30 million. His net worth includes all his properties and incomes. Watson was also listed number 7th in the list of top ten wealthiest golfers. Talking about his asset, He bought the mansion in the Isleworth community of Windermere, Florida, that Tiger Woods possessed before. Governor Rick Scott listed Watson ‘one of the Great Floridians’ in 2015. How tall is Bubba Watson? Observing her body measurements, He has an athletic body build with a height of 6 feet 3 inches and weighs around 82 Kg. Similarly, he has a pair of brown eyes and hair color. Further, his body measures 40-36-14 inches. He won his 1st PGA Tour on 27th June 2010 in Cromwell, Connecticut & tearfully dedicated his win to his parents especially to his father who was battling with Cancer at that time. He adopted two kids (Caleb & Dakota) as he was unable to have a natural child. He is a member of a boy band - Golf Boys consisting of Rickie Fowler, Ben Crane & Hunter Mahan and their single - Oh Oh Oh is available in Youtube. In the Official World Golf Ranking, he reached a career-high second place in February 2015.